Oh Australia, you’re pretty beautiful! And while there are plenty of affordable little getaways, sometimes it’s worth splashing out on life’s little luxuries, like for your honeymoon let’s say. So if you’re looking for something a little bit lavish and lot romantic, look no further. This list is full of opulence, 3,000 thread count sheets, bubbles on arrival and that feeling that you’ve made it in life. For full honeymoon satisfaction we recommend deleting your bank app and not thinking about the balance for the entirety of your trip—think of that as a future you problem. Current you is immersed in a bath with room service on the way! Here are 10 of the most beautiful places to honeymoon in Australia. Let the lavishness begin! This is the absolute ultimate for food, nature and modern eco-luxury lovers. 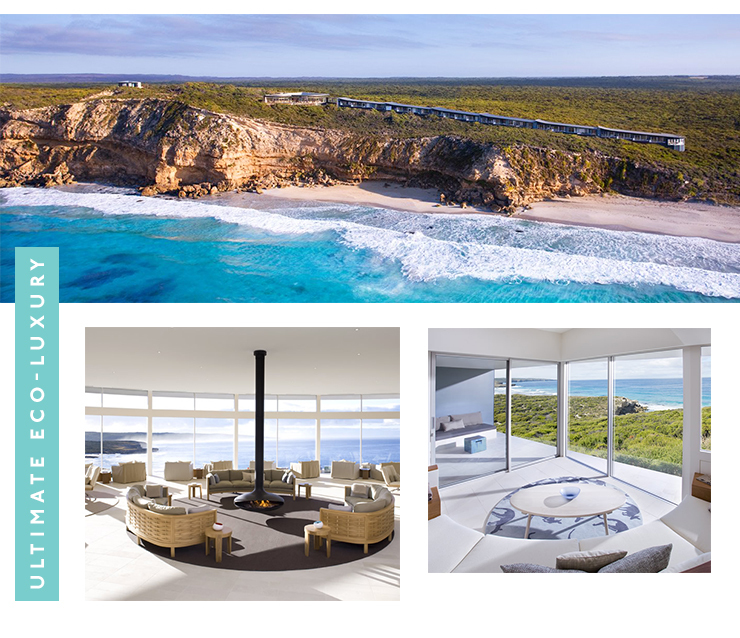 Wake up to the sound of the waves as you lay in your floor-to-ceiling glass suite and overlook the untouched beauty that is Kangaroo Island. Eat, sleep, repeat just entered a realm of comfort you didn’t even know existed! 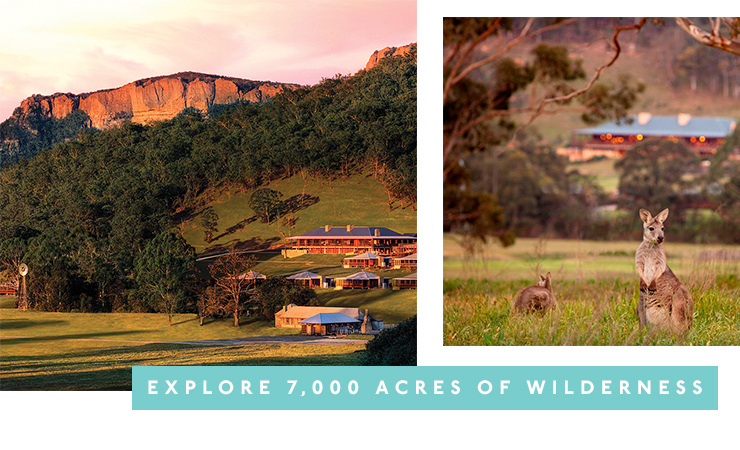 If you’re not familiar with Emirates One&Only Wolgan Valley, the fact that it’s the only Australian resort to be named in the top 10 best luxury hotels in the world by Mr & Mrs Smith might tip you off to the incredible beauty of it. The resort—which is comprised of 40 individual villas—accounts for only 1% of the 7,000 acres of the valley, meaning there’s plenty of exploring to do while you’re not relaxing by your private pool or getting pampered at the spa. Think stable tours, nature walks and stargazing in between amazing gourmet meals and you’re on the right track. It should be no surprise that one of WA’s leading interior design brands created a magazine worthy retreat of perfection. Fill your mornings floating in the ocean, your afternoons sipping wine and your evenings soaking up the open fireplace at Empire. Heavenly right? Now if we can just all work together to try and fit the furniture in our car and drive away, that’d be great. If the two of you can’t decide between Asia and Australia for the post wedding blowout, then Thala Beach Nature Resort is the answer. It has that secluded Thai rainforesty beachy feel to it (your balcony is basically IN the trees! ), but it’s right here in Australia. 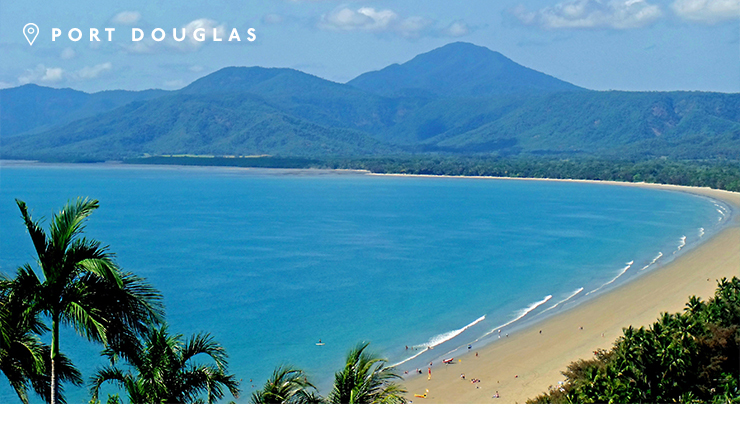 If you can peel yourself out of bed, you can head out on a 4WD tour of the world heritage rainforest, snorkel the Great Barrier Reef, so a spot of star gazing or just get a massage at the spa. 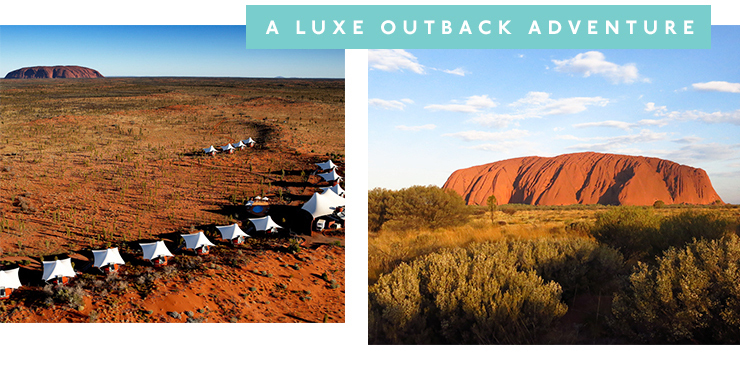 This takes ‘outback adventure’ to a whole new level. What Longitude 131 calls luxury tent, we call ‘nicer than our entire house’, so don’t go thinking glamping isn’t what you had in mind for the 'moon. By day, you’ll explore a road less travelled. By night, you’ll marvel at our land while eating Michelin Star worthy food. Sounds pretty perfect to us! You know those tourism ads that pan across the most beautiful water you’ve ever seen and all you can think is ‘ummmm where is that?’ The answer is Tasmania. 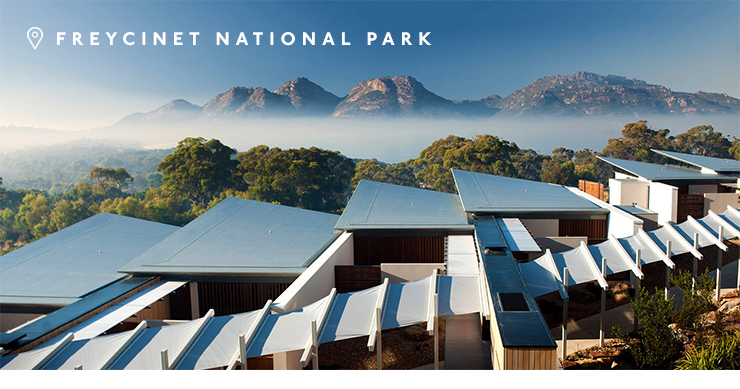 Actually, the answer is Freycinet National Park in Tasmania. Think of the most beautiful photo you’ve ever seen and that’s where your expectations should start. This timber filled, award-winning slice of luxury is smack bang in the middle of mountains, forest, sea and sand and it’s what we would call the ultimate honeymoon spot in Australia. With your own little bungalow on one of WA’s most famous beaches—what’s not to love about Cable Beach Resort? You’ll be on Broome time the moment you step off the plane so ditch the watch and alarm. It’s all sunset cocktails, seafood dreams and camel rides from hear on in. Obviously, this is on the list. If you’re yet to hear about One&Only then you have a much better handle on your social media consumption than us. 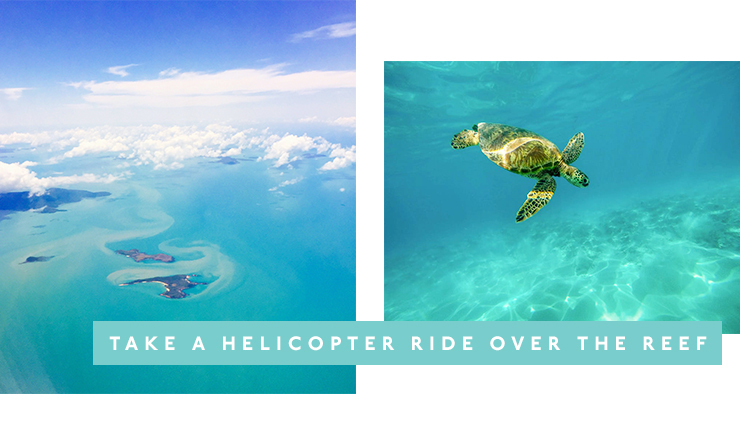 To give you an idea of the scale of this resort, flying around the Great Barrier Reef in a private helicopter is among the daily activities on offer. There’s also a spa on site, amazing restaurants and bars and the rooms are so beautiful you’ll barely want to leave, not to mention the ocean views from your room. Unfortunately, they aren’t taking bookings at the moment due to the impact of Cyclone Debbie, but luckily you’re planning your honeymoon nice and early (you organised thing, you) so pop a reminder in your calendar to book next year! Who says roughing it in the wild needs to involve dirty feet and a sleeping bag? 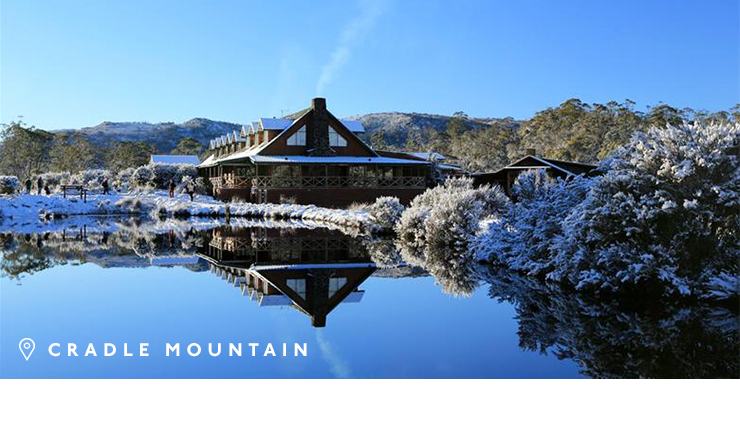 Two and a half hours from Launceston, on the edge of World Heritage listed Cradle Mountain-Lake St Clair National Park, lies the honeymoon of your wilderness dreams thanks to Peppers Cradle Mountain Lodge. Pack thermals, walking shoes and a fully charged Kindle. Now to the important information: how can we package that air? Just an hour and a half from Melbourne and you’re in Daylesford. If you haven’t been, Daylesford is basically Australia’s take on the English countryside and we love it. Surrounded by acres of greenery and so much tranquillity, Lake House is the ultimate destination if you’ve only got time for a couple nights away. Want more luxe getaways? Here are 28 Of The Most Amazing Glamping Spots Around The World.